The nearest railway stations to Heathrow Airport are listed below. Train services to these stations may vary, you can use our Journey Planner to confirm your travel arrangements. A free transfer service operates between Terminals 2 & 3, Terminal 4 and Terminal 5. Heathrow Express trains run from Terminals 2, 3 and Terminal 5 to and from London Paddington every 15 minutes. Journey takes 15 minutes. TfL Rail trains run from Terminals 2, 3 and Terminal 4 to and from London Paddington every 30 minutes. Journey takes approx. 26 minutes. Heathrow (Central Bus Station) - Feltham station, bus route 285 (runs 24-hours). 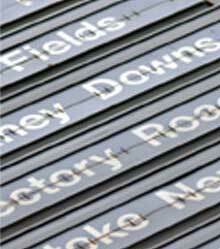 Heathrow Central Bus Station is a few minutes' walk from Terminals 2 & 3 via underground walkways. Reading & Woking 'RailAir' coaches set down at Terminals 2 & 3 on arrival. Passengers using these terminals can transfer free with Heathrow Express or TfL Rail trains or Piccadilly Line Underground.